Marsh & McLennan Companies is the parent company of Mercer, a leader in talent, health, retirement, and investment consulting; Marsh, a leader in insurance broking and risk management; Oliver Wyman, a leader in management consulting and Guy Carpenter, a leader in providing risk and reinsurance intermediary services. We bring together different businesses and diverse talents to change what is possible for our clients, their industries and society. We can promise you extraordinary challenges, extraordinary colleagues and the opportunity to make a difference. 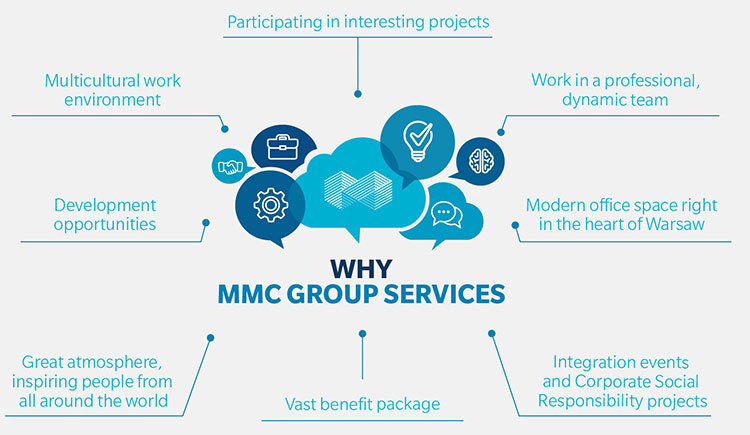 When joining MMC Group Services, you become a part of Marsh & McLennan family which gives you an unique career opportunity across all Operating Companies.